In the world of business, profit is one of the most important things to determine. You can easily calculate your profits using this profit calculator. You can also use this online tool to come up with the margin percentage, selling price or the cost. Calculating the main factors in sales is important. These include the cost of the products you’re selling, your profit margin, how much you will sell the products for, and your profit. Generally, the margin of profit would determine the health of your company. If you get a low value from this margin calculator, it means your business is in danger. Therefore, you want to get a high value after entering all of the information. How to use the profit calculator? What is the formula for gross profit? The gross margin calculator allows you to input two values at a time. After that, it will automatically generate the other two values for you. First, you can enter the monetary value of the Cost and the percentage value of the Margin. Doing this will provide you with the values for the Revenue and the Profit. Conversely, you can enter the monetary values of the Revenue and the Profit for the margin calculator. This will prompt the calculator to generate the monetary value of the Cost and the percentage value of the Margin. Everyone wants to make a profit in the accounting and business industries. Before you start using this profit calculator, it’s important to understand what profit is. By definition, this is a form of income received by the owner of a business or a market production process which makes a profit. Another definition of profit is a profitability measure. It’s often the main interest of a business owner in a market production’s process of the income formation. In terms of market production, income formation refers to an equilibrium between the generation of income and the distribution of income. The income which gets generated always gets distributed to the business owner and to the production’s stakeholders or investors. It’s an economic value within a specific review period. The profit refers to the share of generated income that the owner gets to keep for himself or herself in the process of income distribution. One of the main sources of economic health and well-being is profit. This is because a huge profit means that you’re earning a good income. Also, it means you have more opportunities to develop your business or production. Therefore, the terms earnings, income, and profit all mean the same thing in this context. Most of the time, you would have to calculate profits when you’re in sales. In such a case, it’s essential for you to calculate the profit on a product or the total revenue. You can base your calculations on the receipts that you have. You can also use the gross margin which you’ve established in the product’s price as a basis. revenue = 100 * profit / margin. The gross margin refers to the total sales revenue of a business minus the cost of all the goods they’re sold. Then you divide this by the total sales revenue that’s expressed as a percentage value. In this profit calculator, you can also get this value. 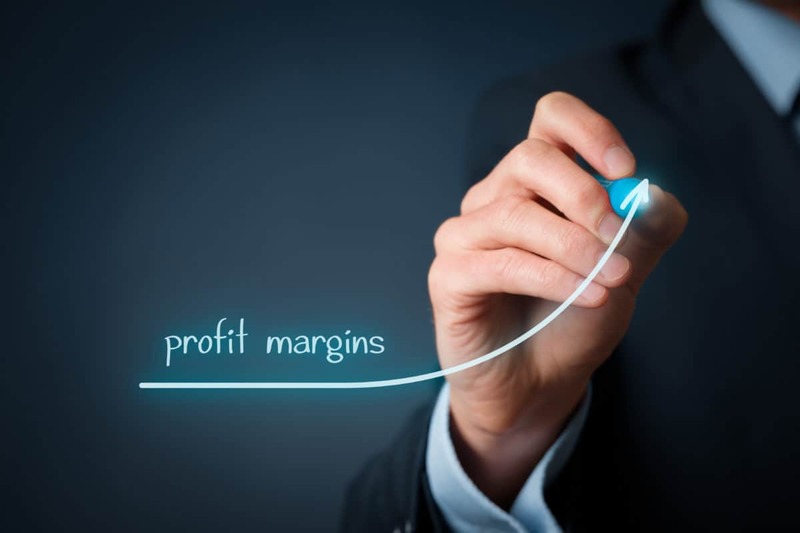 The gross margin corresponds to the total sales revenue kept by a business after subtracting the costs spent on producing the items that they sell. A high percentage means that the business earns more and, therefore, has more money to spend on debts and other expenses. Businesses and companies utilize gross margin as a measurement tool. They use it to find out how their costs of production correspond to the revenues of the business. So, if the gross margin of a company drops, they may have to search for ways to cut costs. One way they can do this is to search for less expensive suppliers or laborers. The company may also try to increase the prices of their products if they want to give their revenue a boost. Some businesses also utilize gross margins to determine how much money they would have to spare to use on operating expenses. For instance, if a business has a gross margin of 50%, this means that they only have $0.50 for each dollar of revenue they collect for their operating expenses.